I was a little nervous as I was making it because I wasn't sure how I'd look with it on, but I really like it. My husband calls it my Star Wars outfit and I dig it. It's warm and soft, but not too puffy. It really dresses up basic tops & bottoms. I went with a single color rather than an animal print since I'm on the petite side (there's a danger of the print wearing me if it's too fluffy or bold). This one has a nice grey shimmer to it and feels silky which is great & a simple broadcloth lining if I want a simpler look. I made the size 4 and used the petite cut line for the back, but the regular cut line for the front and the length. If you've never used faux fur the one thing you need to be prepared for is it sheds like crazy when you cut it, so I had my vacuum and a lint roller going as soon as the fur "flew". I also shook my pieces outside for a minute as soon as I cut them to help minimize the floaty bits. Since it's reversible, and raw edges of fur fabric are super shed-y, it's critical that all the seams are enclosed. The steps to do this were really easy to follow and definitely will help me with doing similar projects. I love when a pattern helps me pick up some extra knowledge. 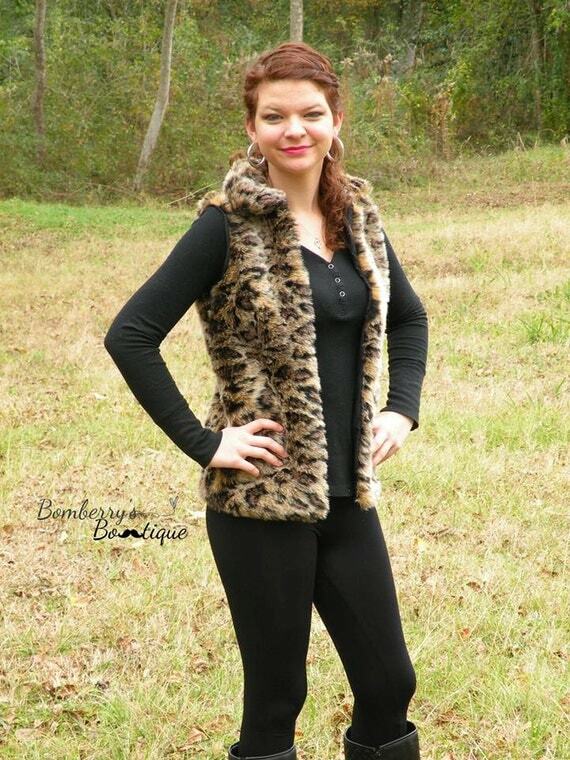 And since it uses less than 1 yard of faux fur, it's also an economical sew. 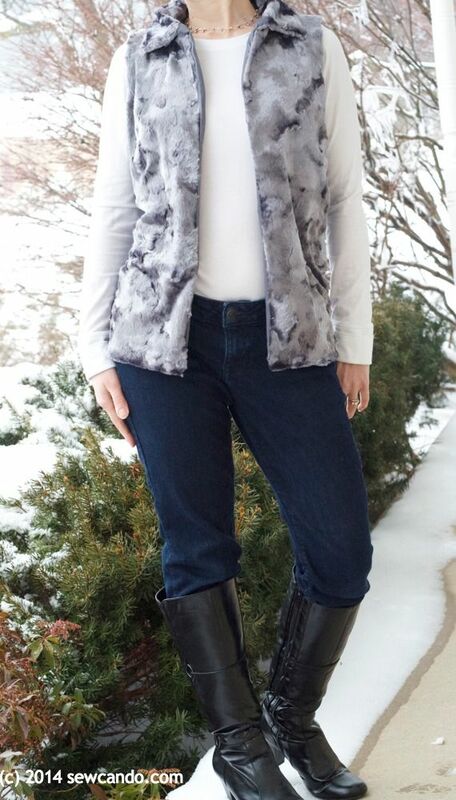 I've seen some crazy high prices for similar vests from stores, so this is definitely worth making yourself. 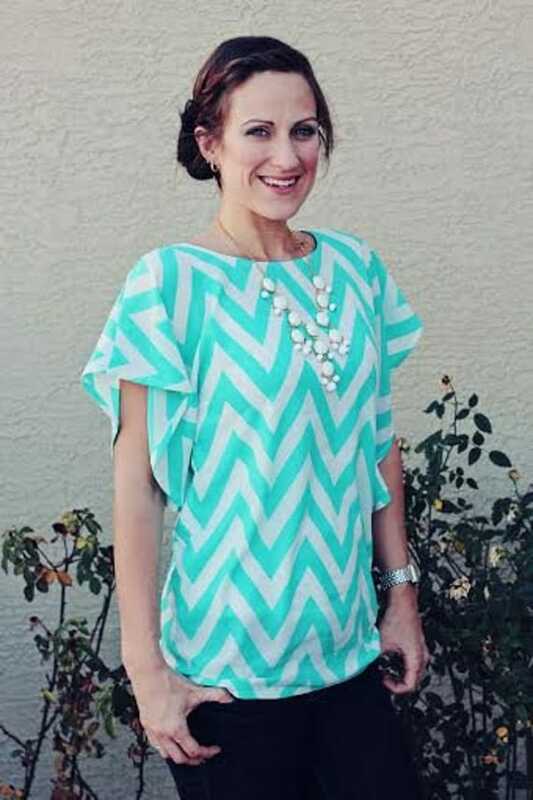 This is such a great design to pair with all the trendy prints that are hot right now. There's an option to add a contrasting waist band too. It's designed to work with jerseys, poly blends, silks, rayons and anything else with drape to it. And as well as including sizing for 0-26, it's very flattering to any body shape. I'm really looking forward to getting my hands on this one and making a few tops in advance of the warmer days to come. 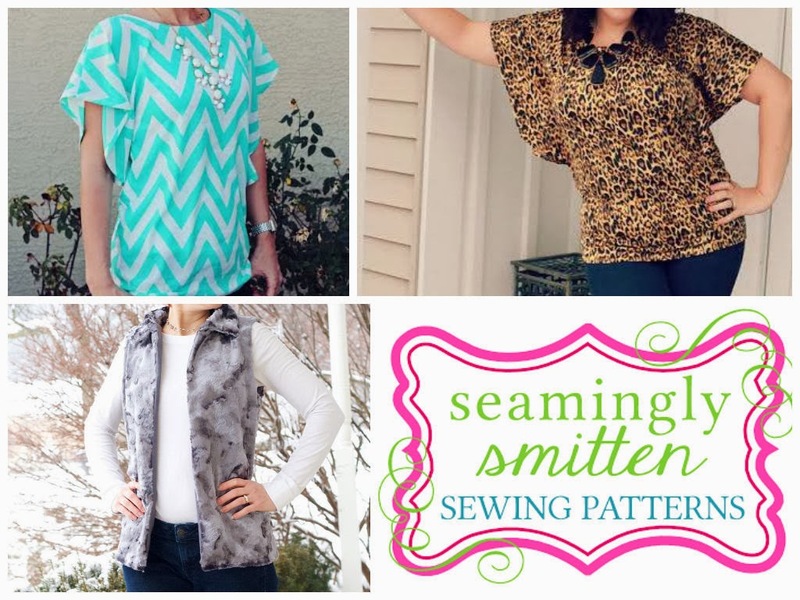 Why try Seamingly Smitten patterns? Both are great pattern options to try and you can see lots of customer photos of them on the Seamingly Smitten Facebook page. Find out more about these and other patterns (plus some free tutorials) via the Seamingly Smitten newsletter and blog too. 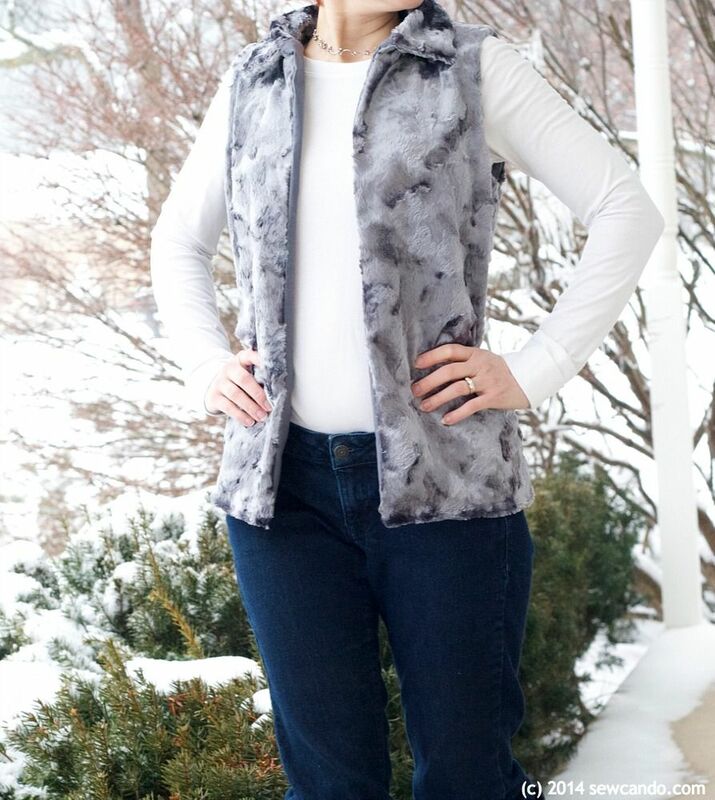 Thank you for featuring the Fur Vest pattern and the Lesley Flutter Top pattern! I love the fur you chose!! 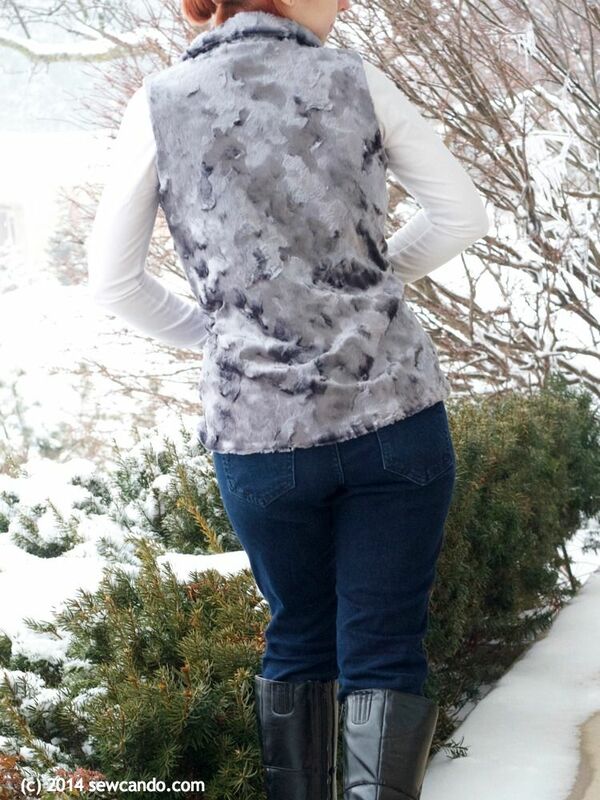 Your vest looks awesome! !